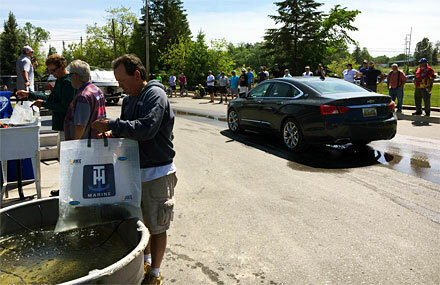 You are here: Home » News » Tournament Results Posts » Randy Ramsey 2018 Top Boater at State Championship! We had a great tournament at our 2018 State Championship June 10th at Burt and Mullett Lakes. Everything went great even though the fish were not the most cooperative! 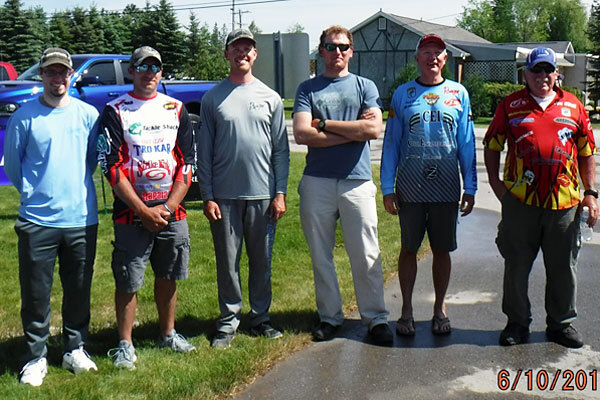 I would like to congratulate our winners and our Top 6 boaters and co-anglers advancing to the Semi-Finals! 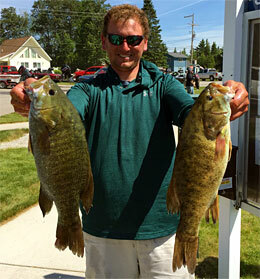 Randy Ramsey is the 1st place boater with 21 pounds 6 ounces, and Jay Troyer the 1st place co-angler with 13 pounds 4 ounces. 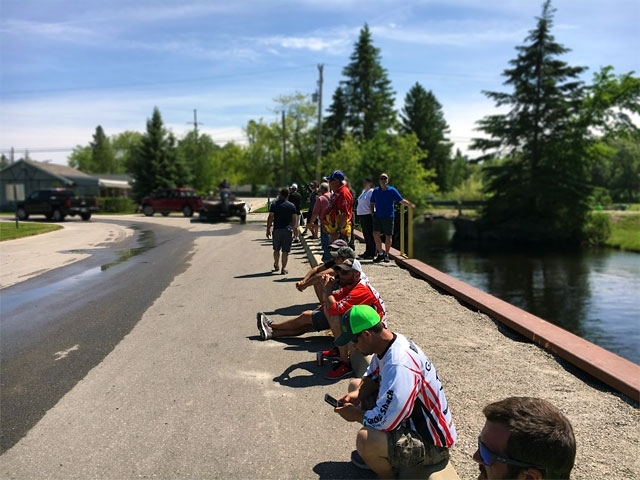 2018 TBF of Michigan State Championship – our partner FLW provided the weigh-in staff, trailer and equipment for the event on Burt and Mullett Lakes. 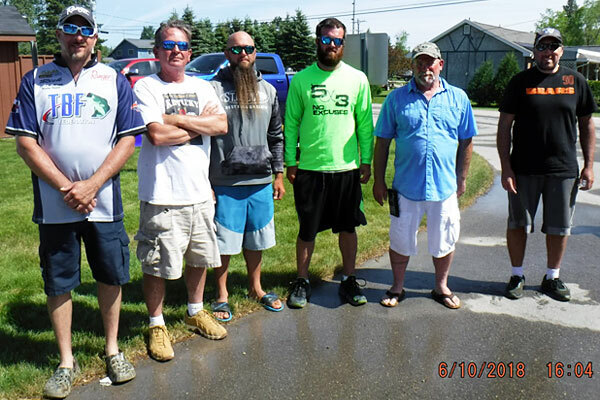 I would like to thank all anglers who participated! 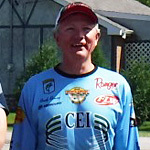 Special thanks to Alan Gray and the FLW for helping with our weigh-in. 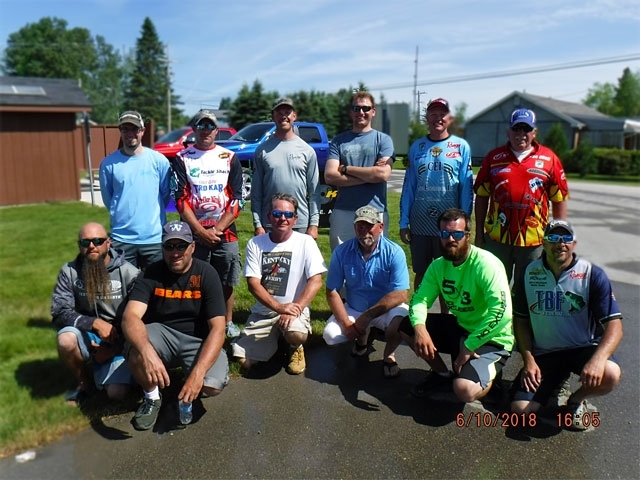 This is a great opportunity to have a shot at making it to TBF Nationals, BFL All-American, Forrest Wood Cup and a pathway to fish professionally. 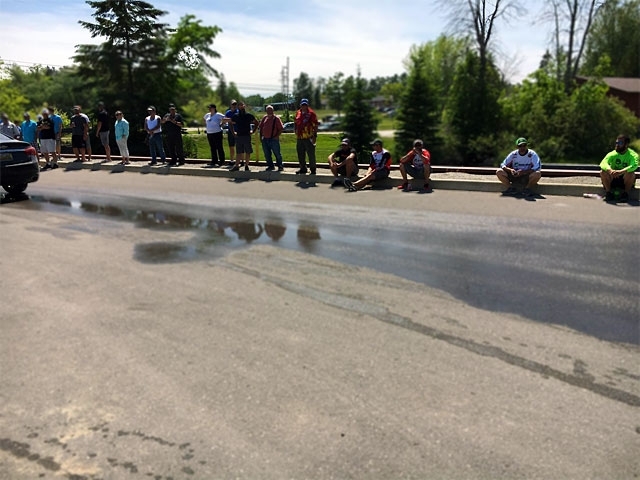 More over it helps to support our membership and our core focus: Youth-Conservation-Fishing. 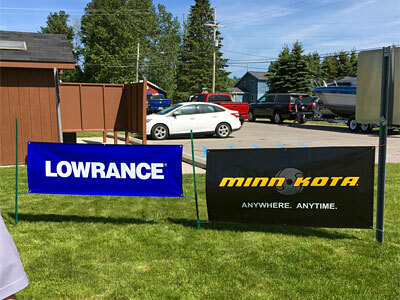 Please remember to consider the sponsors who help TBF of Michigan be successful such as Lowrance and Minn Kota. 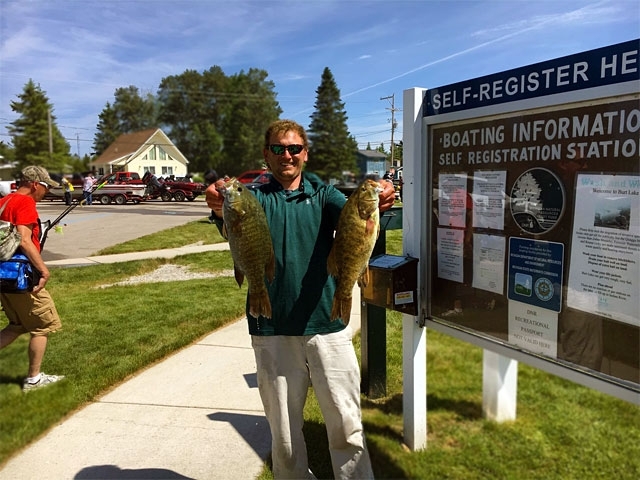 Josh Kolodzaike with two big smallmouths – finished in 2nd place as a boater with 19 pounds 5 ounces at the 2018 TBF of Michigan State Championship June 10th.